The wave of barbarian invasions began to recede in the middle of the sixth century, leaving pockets of untouched Romanitas alongside barbarian kingdoms. For the most part, these barbarian rulers aped the style of Rome, and were Christian, though occasionally heretical. However, the majority of these rulers not only couldn’t read Latin, they couldn’t understand it; even in their native tongues they were barely, if at all, literate. Rome itself made a come-back in the sixth century, with the help of the Eastern Emperor Justinian, who conquered the Ostrogothic Kingdom and established the Imperial zone from Ravenna to Rome. The authority in this area would no longer be the Emperor, who the Lombards would expel from the rest of Italy in 568, but the Pope, the Patriarch of Rome. Taking its cue from the saintly Augustine, it was as if Rome decided that if it couldn’t be the City of the Empire any longer, then it wqould settle for second best and be the City of God. Leo the Great, the Pope who tried a Mexican stand-off with Attila the Hun and won, had this idea of Rome as God’s City firmly in mind. He threatened Attila with it. We will never know what would have happened to Christianity if Attila had not died soon after his stand-off with Pope Leo. We can be fairly sure that Attila was not impressed by Leo’s threats; the Huns were never Christian, at all. But the miracle happened. Attila died. The Huns retreated to Hungary to fight over the spoils and Europe settled down to a resemblance of peace. Barbarian warlords ruled the provinces, the population dropped, cities shrank, culture declined, freeman became serfs, and the heavily armored mounted warrior became the nobility. Even Justinian reconquered only part of Italy. Northern Italy and Gaul, Spain and Britain were far beyond the reach of the eastern empire by the sixth century. In Spain the Visigoths endured as a stable kingdom until Islam invaded in the eighth century. Ed Cid is a classic Visigothic warrior, cast in an early medieval role. Only in Spain. . .
Gaul was unified by the Merovingian Franks. The Celts of Gaul had absorbed the Roman culture so completely that parts of Gaul, even as late as the period of the worst invasions of the fifth century, retained the serene Romanita that was the very standard of a civilized life. This information comes from Sidonius’ letter to his friend Donidius explaining why it is taking him so long to reach Nemansus and return home. Sidonius tells his friend that he was delayed by two “most sympathetic hosts,” who insist that he stay no less than seven days. The description of Sidonius’ good time (“Well, I was hurried from bliss to bliss”) includes a full measure of good books, good food and pleasant conversation. He tells of discussing Origen in Turranius Rufinus’ translation with his friends before lunch, which we are told is “short and lavish, in the style of the senators.” After lunch the Roman good ole boys sat around the table and told jokes and tall stories over the wine until they got soused. Then they headed off for a nap to shake “off the midday drowsiness,” arising after an hour or two to take a short ride in order to whet their jaded appetites for dinner. In the evening, they made do with a Gallo-Roman version of a sweat lodge, since neither villa had a decent Roman bath, although both had one under construction. One wonders if they were finished by the time the Visigoths came through. Perhaps it is that sense of all pervasive doom that hind-sight gives to Sidonius’ letters which makes them so compelling. This charming life-style was about to be snuffed out, and to read Sidonius, no one even suspected that there was a problem. 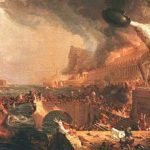 It would all be gone by the mid 480’s, about twenty years after Sidonius’ letter to his friend, swept away in waves by the Visigoths, the Vandals, and then by the Huns. In the early 480’s, the region of Belgium, Luxembourg and northern France coalesced into the Kingdom of the Franks. In the sixth century, under the Merovingians, the Franks would control most of the territory of present day France and Belgium. Brittany remained Celtic and the Visigoths in Spain controlled the southern coast as far as Arles. By the end of the sixth century, medieval France had taken shape. This political stability allowed the survival of classical traditions and literature, such as the letters of Sidonius, who seemed to be quite the social climber and wrote in an over-elegant Latin to all the great leaders of the age including Riothamus, King of the Britons. We see Artorius Riothamus’ men in this letter at the height of their continental adventure, besieging Bourges, deep in Berry, one Saxon army already defeated, and their King courted by the Emperor himself as the last great hope west of the Alps. It was a moment of incredible excitement, but Artorius already had the reputation for justice and equality that would later adhere to the legends of the Round Table. 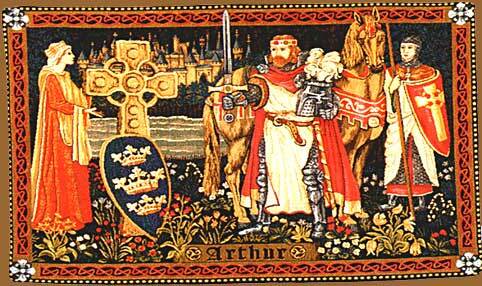 Interestingly enough it is archeology that has supplied the best glimpse of Arthur’s significance. Wroxeter, near Shresbury in England is very unusual. Unlike most Roman towns, Wroxeter did not become a modern city. It still lies under farmland and in the last decade was painstakingly uncovered. Excavation has revealed a great brick wall or basilica and a bath complex, which fell into disuse around the middle of the fourth century, was demolished and covered by shanties made from the rubble. This would fit the declining civic pattern of the late fourth and early fifth centuries. It is significant to its decline that Wroxeter did not have a wall for defense. As the political situation deteriorated, the inhabitants moved to a safer location. However, to the great surprise of the excavators, a later phase was discovered that showed that the whole area had been rebuilt in the mid-fifth century. The basilica was leveled and the area covered with thousands of tons of carefully laid rubble. On this base a large number of wooden buildings were erected including a massive hall laid on beams, 125 feet long and 52 feet wide with a narrow extension on one end, about 80 feet long. South of this building were rows of timber booths, roofed like a pedestrian precinct, and at the upper end of the street was a series of large wooden buildings with classical facades, perhaps the last classically inspired buildings in Britain until the 18th century revival. The end of this phase is just as intriguing as the beginning. The great Hall was not sacked or hurriedly abandoned. The entire civic center was deliberately dismantled and all useful materials taken away. When did this happen? Our best guess is toward the end of the fifth and the beginning of the sixth century. Probably it happened for the same reason the earlier decline occurred, Wroxeter was just too hard to defend. As the cities declined, many of the local warlords went back to the Iron Age Celtic hill forts that had been abandoned at the time of the Roman conquest. These citadels were easier to defend than long and poorly maintained city walls. By the early sixth century these hill forts had become the rule throughout the southwest of England and Wales. Local tradition connects Arthur with one of these hill forts, South Cadbury in Somerset. This battlement, about twenty miles southeast of Glastonbury, was excavated in the late 1960’s and the finds created quite a stir. Cadbury may not have been Camelot, Wroxeter is a better candidate, but it was quite a castle for the late fifth century. At the very top of the hill an eighteen acre enclosure had been refortified with a dry stone wall. Inside this wall were timber buildings similar in style to the Wroxeter basilica. The site contained elements of refortification that recalled Roman military architecture, and most interesting of all, pottery from the Mediterranean, which gives us a very precise date, the last quarter of the fifth century. If this was not Arthur’s hill fort, it belonged to some one much like him. By understanding that Artorius is Riothamus, the King of the Britons who appears in Gaul with twelve thousand men, which, by the way, would be two corps of the classical six thousand man mobile armored cavalry of the old Dux Bellorum, we can easily explain the mystery of the hill forts. Civic reconstruction, such as Wroxeter, represents the period of stability after the initial Saxon defeat in Britain. There are no refortifications of hill forts from this early period, in fact, the earliest of the refortifications take place at the time of Riothamus was marching through Gaul. Open cities, again such as Wroxeter, can only be defended by a large and mobile field army. When that army is absent, as it was after 468, then the best defensive is to circle the wagons and use the remaining six thousand men of the third corps to garrison them. And that is exactly what happened. The circles were the ancient Celtic forts and the Cadbury dig proved that someone was powerful enough to wall in this hill fort, erect buildings and build gates, someone with a large retinue of warriors who lived in a hybrid Roman-Celtic style. After 470, as the remnants of Arthur’s Men, the first two corps, returned from the continent, this policy of fortification and entrenchment became the dominant strategy of the loose confederation of Kings and warlords, united under Arthur’s Men, who won the battle of Mons Badonicus. There are several possibilities for this battle site, but the most likely is a prominent Iron Age hill fort near Swindon in Wiltshire. Close by is the village of Badbury, from the Celtic Badon. The fort, now known as Liddington Castle, controls a major Dark Age road junction, that of Ermine Street, the north-south road and the Great Ridgeway which cuts straight across the island. Cirencester, the ancient legion station, lies only fifteen miles away and on a clear afternoon, Liddington castle is visible from the old Roman campground. The retreat to the Celtic forts had other ramifications, both political and religious. The decentralization required by the defense of the network of hill forts meant that there would never again be a High King like Artorius. 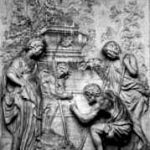 The Roman administration fell completely apart and the legal and political structure returned to the jurisdiction of the bards and the Druids. In the same manner, separation from Rome meant separation from orthodoxy, and the heretical Pelagians co-existed side-by-side with the pagan Druids and the Roman oracles. That marvelous Celtic masterpiece, Culwch and Olwen, probably dates from this twilight golden age as does the Predeu Annwfyn, which tells of Arthur’s voyage to the underworld in search of a magic cauldron. Most interesting of all is the poem in the Black Book of Carmarthen which begins “Pa gur” This question and response poem is far older than the thirteenth century manuscript in which it is anthologized. It seems to hint of something of great importance. In the poem, we find Arthur seeking entry into a “house” of which Glewwlwyd, He of the Mighty-Grasp, is porter. A: What Man is porter? A: Arthur and Cei Wyn. G: Who goes along with thee? A: The best men in the world. A: I shall disclose them. And thou shalt see them. The Arthur names and calls forth nine mighty heroes as his companions. Among these companions are Mabon son of Modron and Manawydan, son of Lyr, said to be “of profound counsel,” as well he should being none other than the Welsh God of the Sea. Mabon is the ancient God of the Sun and Light, a redemptive culture hero of the late Neolithic era. Arthur is traveling in exalted company indeed. With a little imagination we can see these stories developing in the hill fort stations of Arthur’s men as the bards wove the story of Arthur’s vision into the tapestry of Celtic mythology. It was natural to include such a cultural hero as Arthur had become by the sixth century in the company of the other cultural heroes of the society. His status as almost an Emperor lent classical pedigree to his divine pretensions, Arthur could be no less a God than Augustus. Around the basic fact of Arthur, which is that the Saxons were driven back for almost fifty years, the first tentacles of the legend began to cling within a few years of Riothamus’ defeat in Gaul. But there is something different about the “Pa gur” poem. It seems to be an initiation rite of some kind, the call and response echoing down through the years as part of every western secret society’s induction ritual. A Freemason would easily grasp the poem’s intent. Some “House” or college is making Arthur announce his divine sponsors before he is allowed to enter. 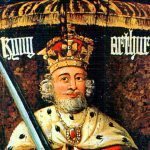 Geoffrey of Monmouth, in his description of Arthur’s coronation, tells us of an “invisible college” of astrologers and mystics who become part of Arthur’s court. These are in all probability the Druids, and it is to their mystic “house” that Arthur is being admitted in the “Pa gur” poem. It is hard to know exactly what to make of this connection. Geoffrey thought it was important enough to create the figure of Merlin, using the sixth century original to show the power of a fifth century connection. it seems clear however that in the years after his death, the Druids used the prominence of Arthur’s protection and patronage to ensure that the traditions would survive. Other very suggestive evidence for the survival of some form of ancient initiatory practice can be found in Geoffrey’s works. His Life of Merlin abounds with descriptions of the “college” and its community. 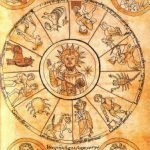 But most interesting of all is the description of the triple death, a form of archaic shamanic technique, which would eventually become, in the fifteenth century, the Tarot image of the Hanged Man. This sort of esoteric survival, tenuous as it is, proves some sort of connection. It is not difficult to infer that Geoffrey had access to this “college” and its information, and from Geoffrey, as we will see, it is not hard to follow the doings of the “house” of initiates. As century follows century, the form of this “house” will change, growing and then maturing as it greets its eastern half, the Builders, and then emerging at last in the political turmoil of the early 17th century. The ancient Welsh House of Initiates, Geoffrey’s college of mystics and star-gazer, became Shakespeare’s School of Night, Bacon’s “Invisible College,” echoing Geoffrey directly, and eventually Newton’s Royal Society. Newton and Geoffrey of Monmouth are like the bookends of an age. The House of the Initiates was the guardian of the myths. They did their work so well that the old pagan deities are present even in such a late retelling of the legend as Sir Thomas Mallory’s. We are startled at the ease with which pagan beliefs and practices co-exist with Christianity in these stories. 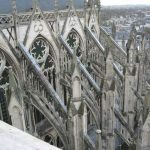 Even in the late middle ages of Mallory, British Christianity was a very special and peculiar variety, closer perhaps to the original strain than it had ever been to Imperial Orthodoxy. Earlier, we noted the close connections in the early Roman era and even before the conquest, between Cornwall and the Mediterranean. The Coptic influence on early Celtic religious art was noted, along with the Gnostic vision of a spiritual Christ, and a physical Jesus. The recent archeological discoveries indicate that this Coptic, or Egyptian connection continued right up to the emergence of the Saxon Kingdoms at the end of the seventh century. By then, the Coptic Christians had been killed or converted to Islam. This closeness between the Gnostic Copts and the British Pelagian Druids created a version of Christianity that was virtually unique. More fundamentalist and austere than the Imperial Orthodoxy, the Celtic Church was always closer to the people and their needs. Their clergy were beloved and learned men, as opposed to the orthodox political appointees, who were concerned with incomes and sinecure, not saving souls or relieving suffering. The greatest difference lay in the church’s treatment of women. Celtic women had character, to be sure, even Arthur has his “second” or spiritual wife in the usage of the ancient Celts. 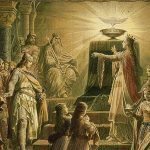 Guinevere is Arthur’s Goddess wife, the source of the king’s vitality and potency, as the stories of her abduction by an underworld figure makes clear. The pagan Celtic ambiance is unmistakable in these stories, even when they are told in French with Lancelot as the abductor. As the memory of Rome faded after generations of independent government, Arthur, the perfect Roman war chief and would-be Emperor, became the glittering Hero-King out of the most ancient stories. We can not be sure that the women in the generation after Arthur were just as free as their ancient sisters, Roman culture and Christianity had eroded this tradition somewhat, but even in the Celtic Church, women had an equality that was disturbing to the more orthodox. A letter has survived from the sixth century from a bishop or some other local authority to two priests, Lovocrat and Catihern or Brittany, warning them against employing women in the celebration of the mass, as the Britons did. It seems that the Celtic variety of Christianity found it needed both the God and Goddess at the altar of the Dying God. These woman priests were officially known as conhospitae, and they administered the wine as the priest offered the host. It was not until Charlemagne impressed the Imperial Church on the west that the priest became a servant of the secular state, and the priestess completely disappeared. The governmental structure of the Church, and later its inquisitional might, destroyed any local modification of procedure. Women, of course, could pursue a life of devotion to the Lord Jesus Christ. It s hard to see Queen Medb doing this, but all too often, the nunneries became holding pens for unwanted or politically dangerous noble women. Other than the nunnery, the Imperial church offered little to the spiritually inclined women of the medieval period. No wonder the heretical faiths, most of whom offered some form of participation for women, caught on with such intensity, and created such martyrs. We will examine some of these other heretical faiths later. 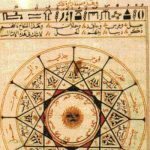 Many of them have a direct bearing on the nature of what would come to be called witchcraft, the real source of which can be found in the post-Roman world of peasant agriculture and its mysteries of life and death and birth.